Gaby Dunn has written a new book called "Bad with Money: The Imperfect Art of Getting Your Financial Sh*t Together" that seeks to settle the financial worries of her fellow millennials. All those Seattle millennials who fill the city’s happy hours may not be as happy as some might think. For while a tiny number of the city’s millennial households earned more than $350,000 per year, most are struggling to pay their bills — a generational affliction. A 2018 study by Bank of America showed that Seattle millennials are more likely to be stressed about their finances than their peers around the country: Thirty-four percent here, compared to 25 percent nationally. Most worry about saving enough (37 percent); 20 percent fret about credit-card debt. And the rest are concerned about saving for retirement (19 percent) and the cost of everyday things like groceries (19 percent). Their biggest obstacles to financial freedom — and the happiness it can bring — are housing costs (61 percent), day-to-day living expenses (48 percent) and health-care costs (19 percent.). 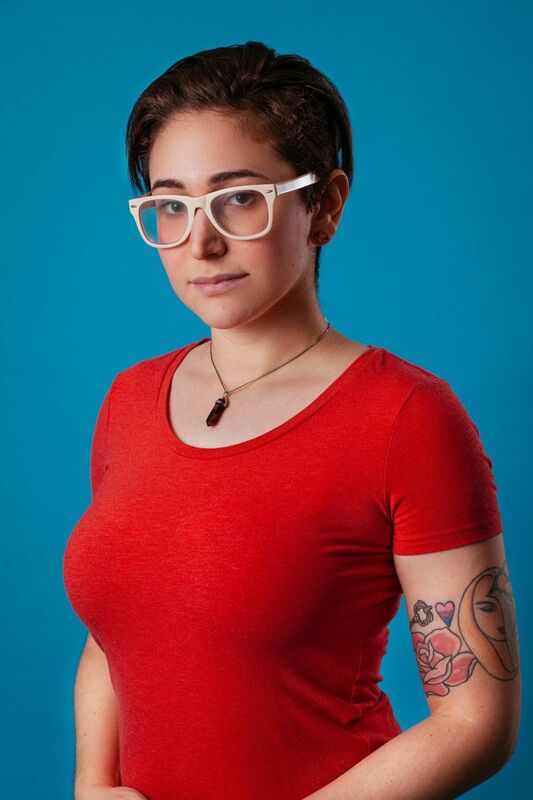 “A lot of them feel very helpless,” said Gaby Dunn, 30, who has written a new book called “Bad with Money: The Imperfect Art of Getting Your Financial Sh*t Together” that seeks to settle the minds of her fellow millennials. Dunn is scheduled to speak at 7 p.m. Monday, Feb. 11, at the University Temple United Methodist Church in an event sponsored by the University Book Store (Editor’s note: University Book Store’s event with Gaby Dunn has been canceled). She thinks transparency would make all the difference. Dunn’s online presence fooled people into thinking that she was wealthy, when in truth, she was bouncing rent checks. “There was this disconnect,” she said. So she wrote an article called “Get Rich or Die Vlogging,” about YouTubers who had secret day jobs, and how their fans don’t understand how they make money — or how to manage their own. In the book, Dunn urges people to talk about their worries, their financial limitations and their strategies for getting their money under control. Once we start talking about how much we’re being paid and how much we’re paying for things (interest rates on credit cards, student loans and savings accounts), we get a better sense of how money works. But Dunn also writes about how money can work against us; tricking us into a false sense of self that has us “prostrating” ourselves to our employers, working through lunch and doing more work for less money. She spoke of the intense pressure to spend money. Ads in our social-media feeds that seem to know what we were thinking or talking about. “There’s this crazy productivity culture, where if you’re not buying things, you don’t exist,” she said. Dunn is quick to say that she isn’t a money expert. Those who are money experts, though, are just too vague. They don’t give specific numbers for things like freelance rates and how much of a percentage you should pay an agent, or how much to put aside for taxes, or how to pay in health-care costs. It doesn’t have to be to the dollar, Dunn said, but something in the neighborhood would sure help. In the book, Dunn recounts a woman asking if she should go to therapy, or start a savings account? She couldn’t afford to do both. Value yourself, she said. Ask your employers for things, be it money or benefits. Become more aware by looking at your bank statements and interest rates. Know what you’re spending on, what you like to spend on, and what costs too much for your liking. Then maybe those happy hours will get happy again. Or people won’t need to go at all.